James Cousins – A blog without a purpose. Conservative success in Wandsworth has been underpinned by financial control. Even if people aren’t natural Conservatives, the wisdom goes, they’ll vote Conservative in local elections because the borough is efficiently run and keeps its hands out of tax-payers’ pockets. There is something to that; historically the Conservatives have polled better in local elections than in national elections; defeats for the Conservatives at general elections in 1997, 2001 and 2005 were all followed within a year by easy victories in the local election. The discipline that held all the way through that period cemented their reputation as a low-tax borough. I’m not sure the pain that discipline caused just to be a few pence a year cheaper than Westminster Council1 was worth it, but it was unquestionably there and a source of some envy from other councils. That’s not to say the council was always mercenary. I remember when the group voted to close York Road library (which served the Winstanley and York Road estates) the then Leader, Edward Lister vetoed the decision because, I like to think, he knew it was just wrong: closing a library in one of our most deprived neighbourhoods to save a few pence was going too far. It may have been hard-edged when it came to cash, but it wasn’t ruthless. Recently it’s become clear the council’s efficiency is not what it was, you only need to see the state of the roads and pavements (which they won’t let us know). But it kept a grip on the finances. Now it just makes it up. The last council meeting of the 2014-2018 council took place last Wednesday. It was an acrimonious affair. 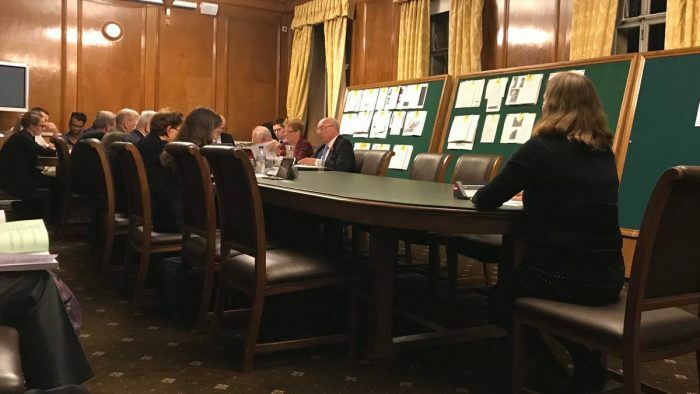 The main part of the meeting was the setting of the council tax: an annual event that used to be something of a set-piece at which Conservatives would take turns to praise the council then vote through the council tax before retiring to the pub for a self-congratulatory pint. But on Wednesday the Tories abandoned years of responsible financial management. Panicking about the election they threw out a last-minute election bribe. 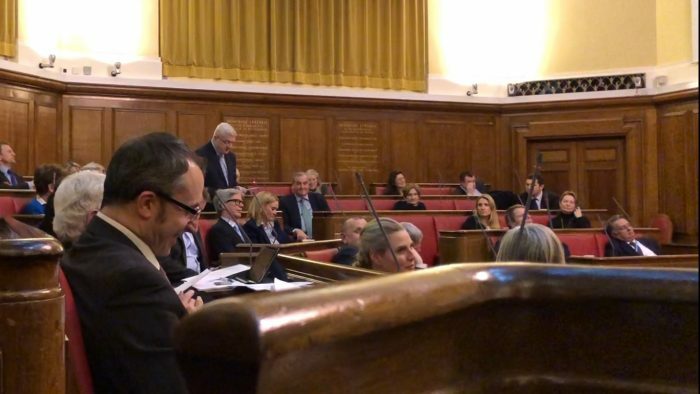 We all knew there was a Conservative amendment to the council tax recommendation but few people, including most of the Conservative group, had no idea what it was. The council was being asked to set a council tax on information it wasn’t allowed to know until the time came for the Leader to read it out while a council employee moved through the council chamber distributing the copies of the amendment. The amendment was printed hours earlier but kept under wraps because the leader needs every advantage he can get in the council chamber. It announced £10 million extra (perhaps) for nice things just in time for the election. There were complaints about this, of course. It is illegal to set a budget that does not balance (there was no sign of where this money was from) and council standing orders prevent the introduction of an amendment that increases spending at the meeting. There was a degree of confusion while officers checked, trying to find a way to allow it, and the Leader was eventually saved by a backbencher who pointed out that the amendment wasn’t even a spending commitment but merely a commitment to look for £10 million. In other words it was meaningless: calling it a bribe is probably an insult to bribery – it’s an IOU with no indication of how it will be paid. The Leader was a little more blunt about it later: the money was to come from reserves. There are several possible interpretations to this. One is that they have built up reserves purely to use as an electoral bribe. Another is that if the level of council reserves isn’t artificially high, they were also implicitly announcing that there will be a £10 million tax hike, or £10 million of cuts after the election. Whichever it is, there is no doubt that the £10 million is a sign of desperation. A last throw of the dice from a worried council leader hoping to buy votes in an election that looks dangerously close. Of course, it’s lovely he feels the need to stump up £10 million from reserves to bribe the electorate with nice things. 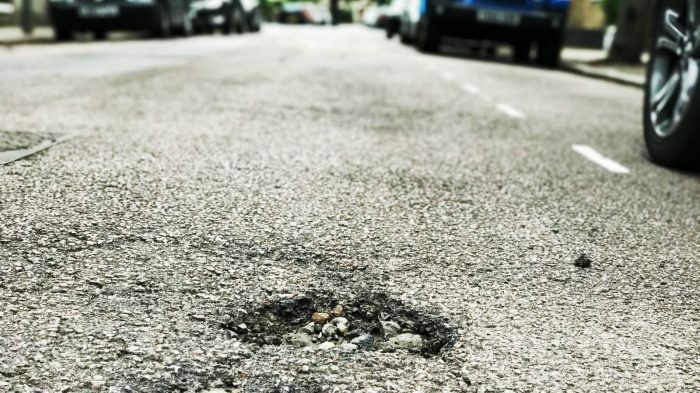 But some might argue the money would be better spent on repairing the crumbling roads and broken pavements. Maybe even paying for the Fire Risk Assessments not carried out in council blocks despite the tragedy of Grenfell Tower. Or, just perhaps, they could invest in the children’s services department which is still failing two years after Ofsted’s original damning judgement. Of course, bribing the electorate might have been a good tactical decision. We won’t know until 4 May. If nothing else it gave a Conservative group that are questioning his leadership something to cheer about as they head into a council election. But when sound financial management is not just your unique selling point, but your only selling point, is a last-minute bribe for the electorate—highlighting that you play fast and loose with the council coffers for electoral gain—really a good strategic move? My freedom of information flight of fancy was shot down in flames. 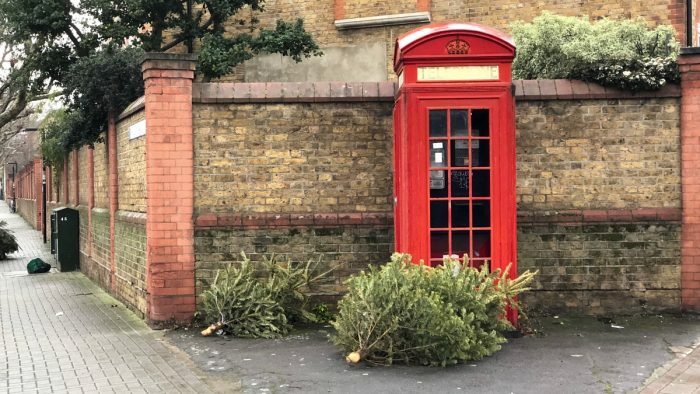 The council failed to collect Christmas trees for the second week running in Shaftesbury Ward. I’ve no doubt the planning applications committee are bored of me attending their meetings. 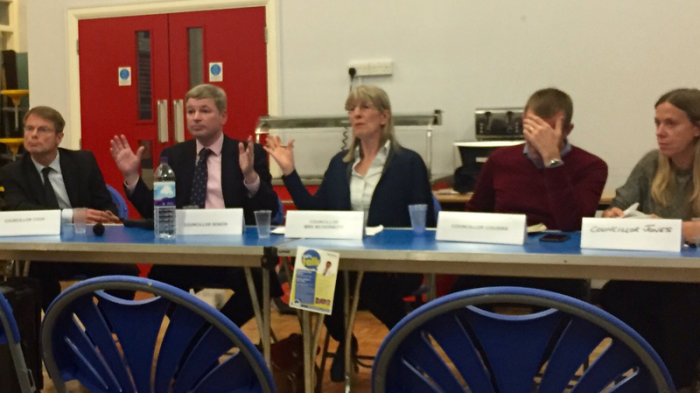 My last blog post was about the Shaftesbury Let’s Talk meeting, a rather dispiriting experience to say the least. 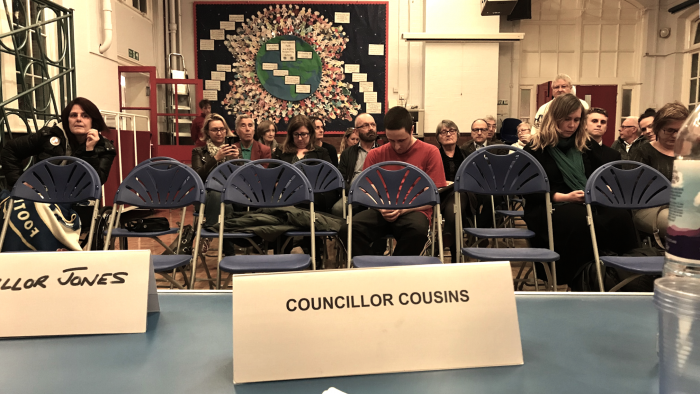 The Shaftesbury Let’s Talk meeting was an embarrassing display of democratic accountability in Wandsworth, but I fear all too typical of the council’s culture. 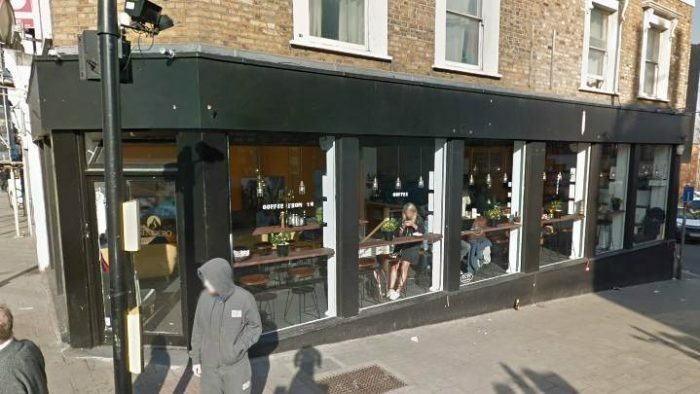 Sendero coffee, a relatively new addition to Lavender Hill (on the corner of Lavender Hill and Queenstown Road), has applied for an licence to permit additional sales and activity.